A spacious two bedroom two bathroom apartment situated in the quiet residential complex of Balcon de los Gigantes. It is sold part furnished and has wonderful views from the sunny terrace over the communal swimming pool and garden areas, as well as the cliffs of Los Gigantes. The complex is maintained to a very high standard and has many facilities including jacuzzi and 24hr security. There is WIFI on the complex along with a range of British TV channels and lifts providing easy access to all floors. 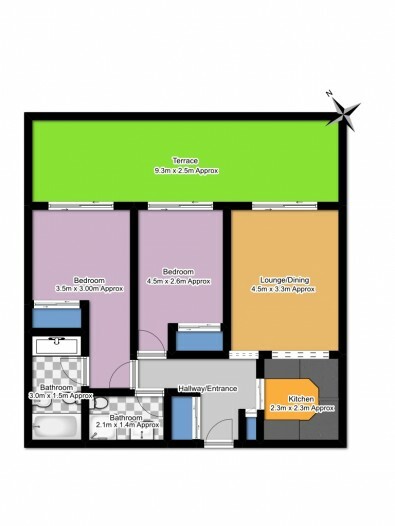 A central location, close by to shops, restaurants and local amenities. This is an ideal holiday apartment and investment.